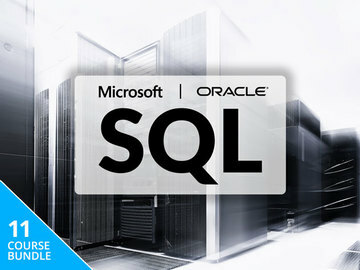 The Complete SQL Certification Bundle has 11 courses designed to help you learn all about SQL, one of the most preferred data management systems for companies in many different industries. Over 120 hours of instruction, the courses will help prepare you for seven Microsoft SQL Server 2012 certification exams, two Microsoft SQL Server 2016 certification exams, and two Oracle 12c OCP certification exams. The bundle is on sale for $39.